The Sherlock Holmes Home Page, by Whatsits Galore. Read our essays about Holmes's foes and his interest in the Woman. Find collectibles for sale in the Sherlock Holmes Shoppe. Enjoy these comics featuring Holmes and Watson. Browse some of Holmes's top ten lists. Sing a festive Christmas carol with a holmesian theme. Visit Basil of Baker Street, the Great Mouse Detective. 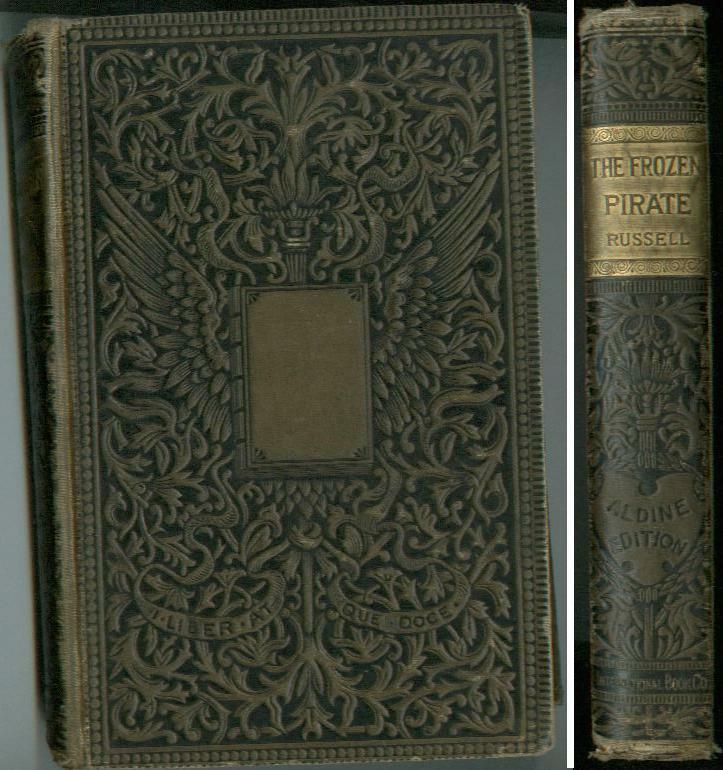 Collectors might be interested to see this vintage copy of The Frozen Pirate, a sea story by William Clarke Russell. Granted, the binding is damaged, but the age of this book makes it at least possible that it once graced Dr. Watson's own library. This particular volume was published in America, which just might be one of the three continents of which the good doctor boasts a knowledge. 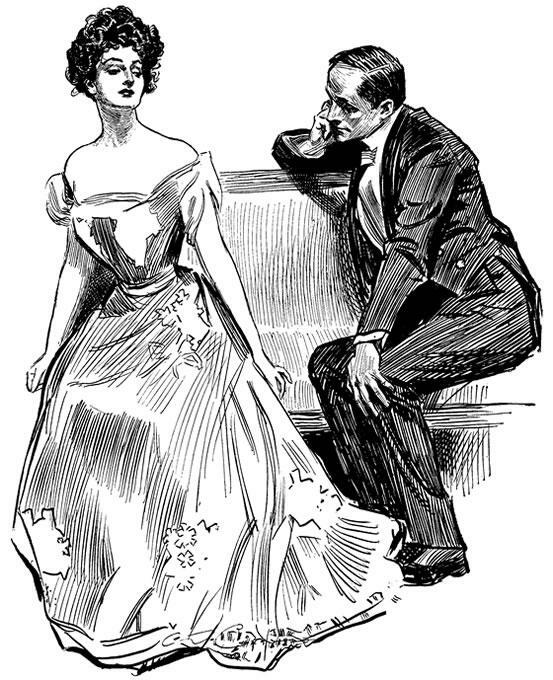 Here is a print by Charles Dana Gibson. The gentleman in the picture always reminds us of Holmes himself, which would make the lady, perhaps, The Woman? 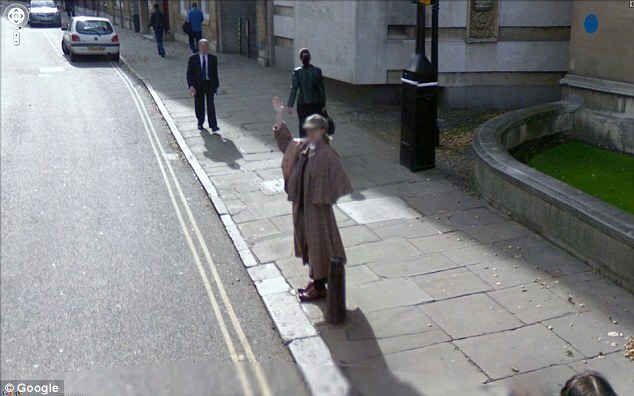 And lest anyone doubt that Sherlock Holmes is a real person, and still alive and living in London, just take a look at this shot from Google StreetView of London.